There are over 32,000 Rotary clubs in more than 200 countries and geographical areas. Clubs are nonpolitical, nonreligious, and open to all cultures, races, and creeds. As signified by the motto Service Above Self, Rotary's main objective is service in the community, in the workplace, and throughout the world. 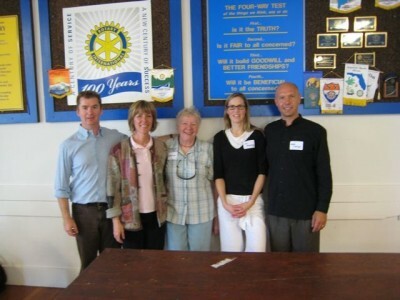 Hillary Gladish and Tricia Kapelari recently made a presentation (summer, 2007) to the Smithers Rotary Club while Michael Simpson, the executive director, was recently asked to speak on Sept 11, 2007 at the St. Helena Rotary Club by Beverly Davies-Mes and Servaas Mes of the Somatic Health Centre. 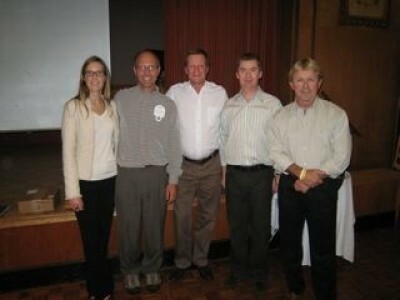 This led to two more presentations in the Napa Valley in California with the Napa Valley Rotary Clubs in October, 2007. The subject of his presentation was entitled “The Boundary Between Self and Other” and was a philosophical overview of the why we work in service of “others” and how this is reflected in our views regarding human conflict. The discussion was central to the mission statement of Rotarians. Showing slides and telling stories from our work in Sierra Leone was well received by the Rotary Club members who asked many questions and had a lot of comments. Thanks to Servaas and Beverly for hosting us in the Napa Valley and facilitating these presentations. Thanks also to the Rotary Clubs of St. Helena and Napa Valley for their interest in One Sky!